Negativity in the workplace has the tendency of rearing its ugly head every so often, as employees become disgruntled, stressed or apathetic within their roles. 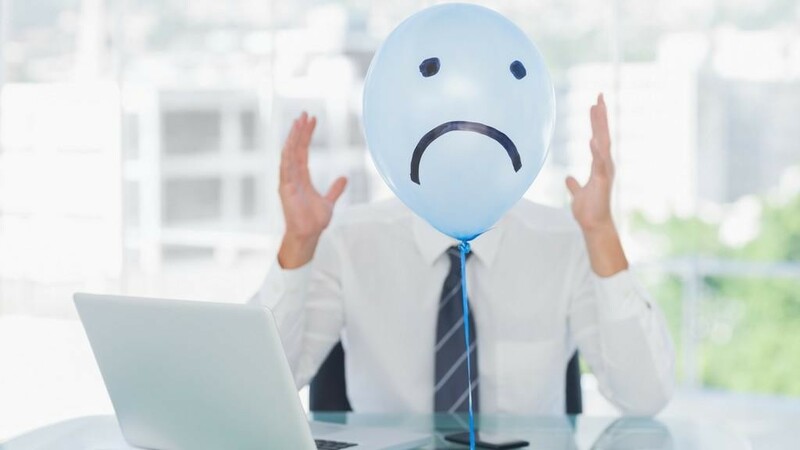 Conversely, negativity can be a trait held by certain individuals that can potentially act as a poison to the workplace, effecting employee morale, productivity and the overall reputation of an organisation. To avoid the spread of negativity throughout the business, employers should be taking active steps to prevent and counteract the effects of negativity in the office on both an individual and collective level. Following these four steps below should get you on your way to providing a solution to workplace negativity. Employers often view negativity as an endless battle that can never be won. But here in lies the problem, as this in itself is a form of negativity. Rather than looking at this challenge in a defeatist way, look at it as an opportunity to change or improve your internal structure. If employees see their employers and management adopting a positive and open mentality at work, employees will be more inclined to follow suit. Negativity may reflect a weakness in your organisation, which is crying for your attention. Look towards creating a solution and not ignoring the issue, hoping that it goes away. The workplace is one of the most diverse environments to be in. This should be seen a positive and precious commodity that can help drive your business forward. Everyone has a different opinion on how they believe a project should be approached, so it is important to let your employees have their say. Don’t stifle their creativity, but rather fuel their passion to provide innovative ideas through healthy debate. Facilitating healthy debates will enable your employees to avoid conflict, whilst being equally engaged in their roles. Respecting everyone’s opinions is important even if they may not work in the long run. There is no right answer, but open enquiry with ultimately lead to a constructive solution. Eternal positivity is the most powerful weapon in minimising and combatting negativity. Whilst persistent positivity may sound unachievable, if employers drive positivity into the internal fabric of their organisations, employees will be more committed to maintaining your values in the long-term. In light of this, when issues or problems arise (as they always do), employees will face these challenges head on, finding ways to turn problems into a strength for the company, ensuring that the same issue is never encountered again. All work and no play will make for a very unhappy workforce. By no means am I suggesting employers to create a party atmosphere in the office, but striking a balance between working hard and finding time to help integrate and build team mentality will help squash out negativity. This could range from monthly happy hours and company fun days to creative team building challenges and events. Not only are these enjoyable for your employees, but as a result, employers are likely to see improved communication and engagement across all departments in your organisation. For further assistance, please contact Health Assured on 0844 892 2493.